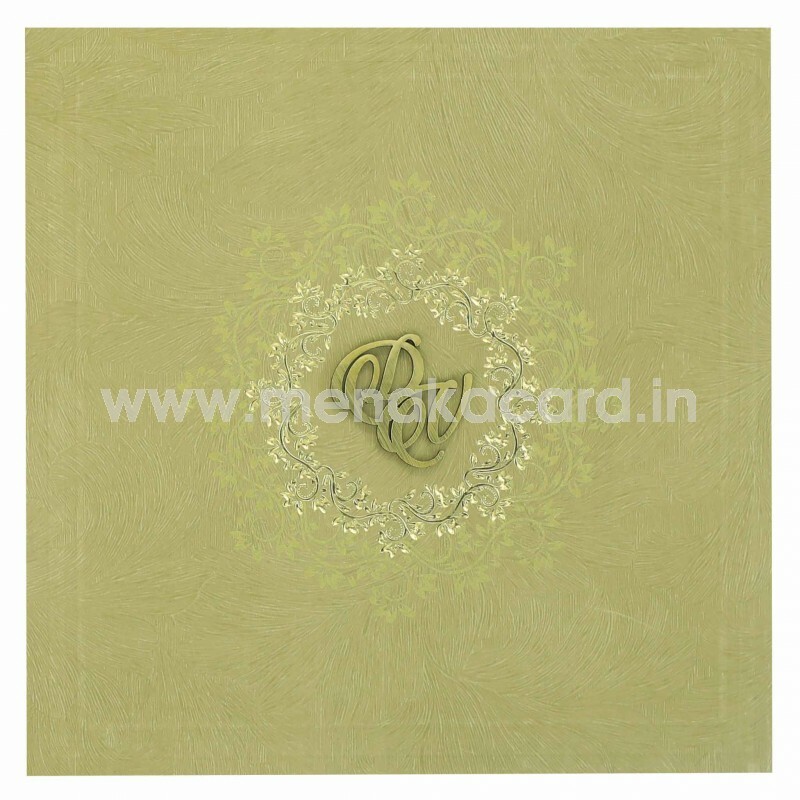 This dark cream card is a minimalistic model design made from a brushed pattern printed art board having a book fold. 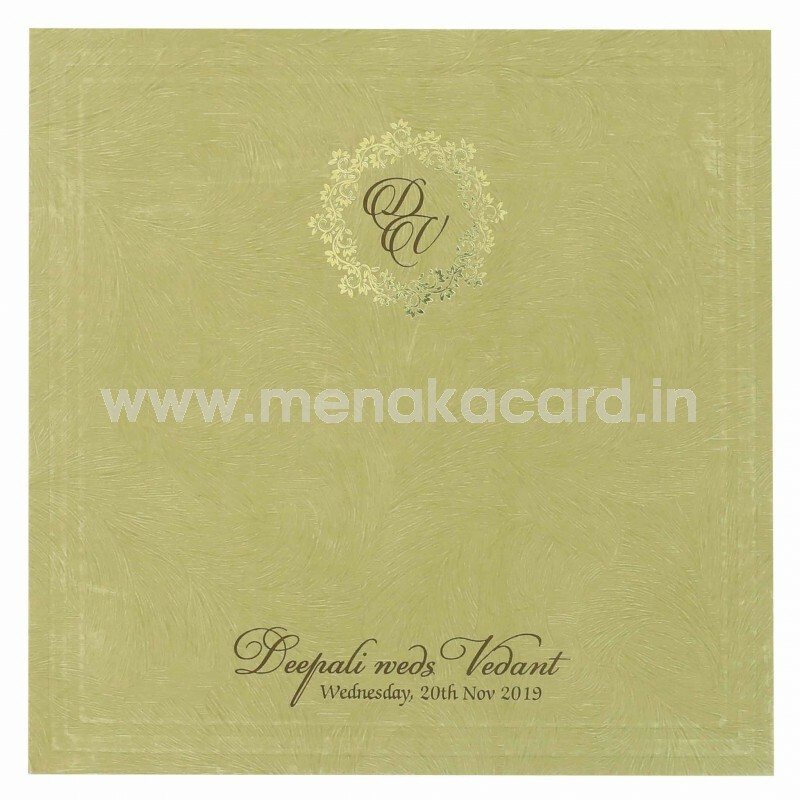 The main front of the card contains a main self-embossed frame inside which sits an ornate floral frame and lancer printed in gold foil and ink, housing a gold laser-cut sticker of the couple's initials. 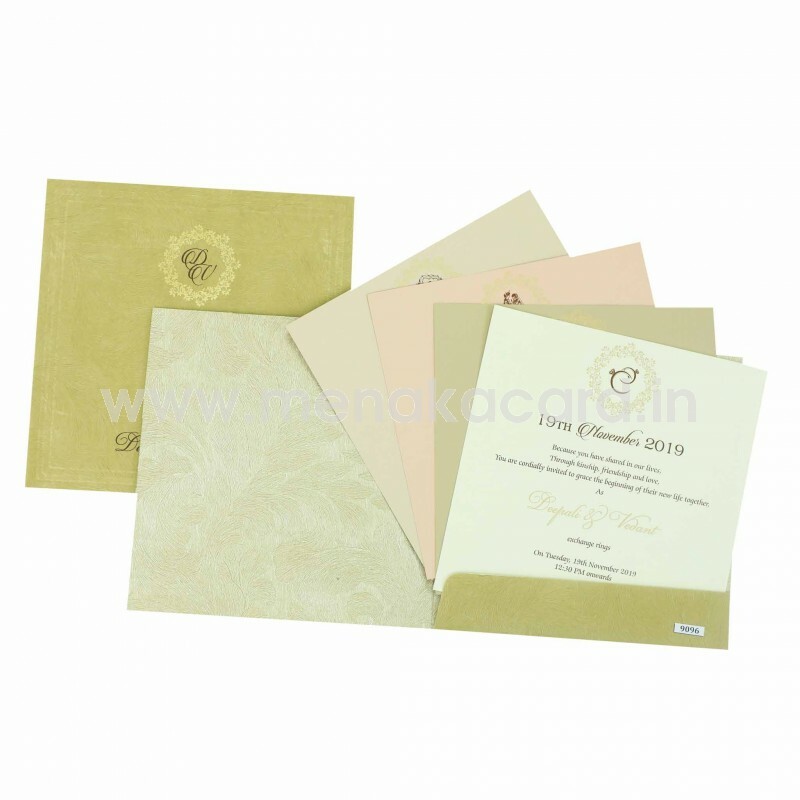 The insert holder of this card holds two off-white inserts made from a matt finish artboard and brown text. The envelope matches the card in colour and design. 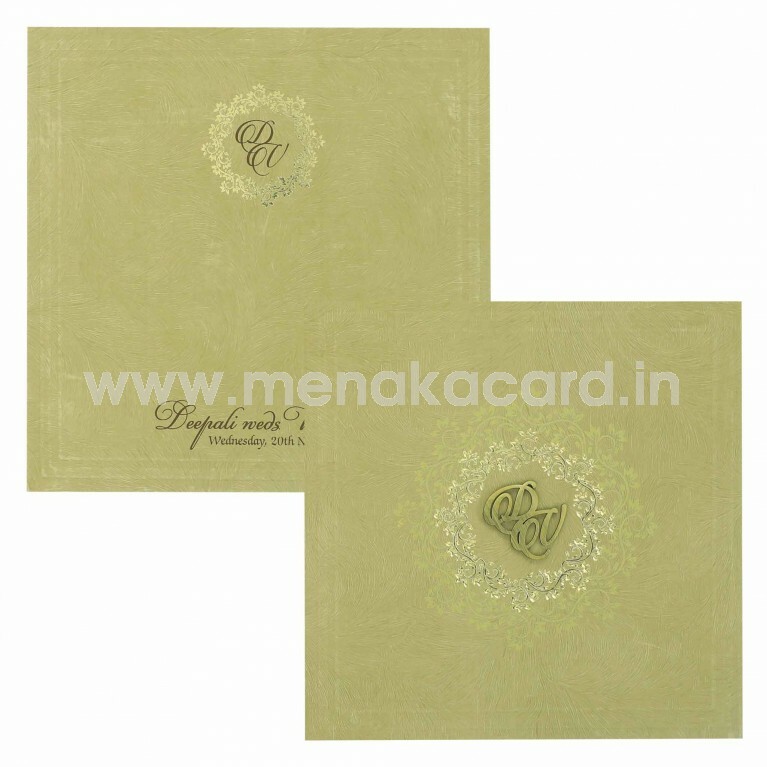 This can be used for Hindu, Christian and Muslim weddings, as well as engagements and receptions.